Test Collab comes with the support for alternative authentication methods like LDAP that includes Active Directory services. To make use of LDAP integration in Test Collab, PHP's LDAP extension will be required to be installed on the server that hosts the application. 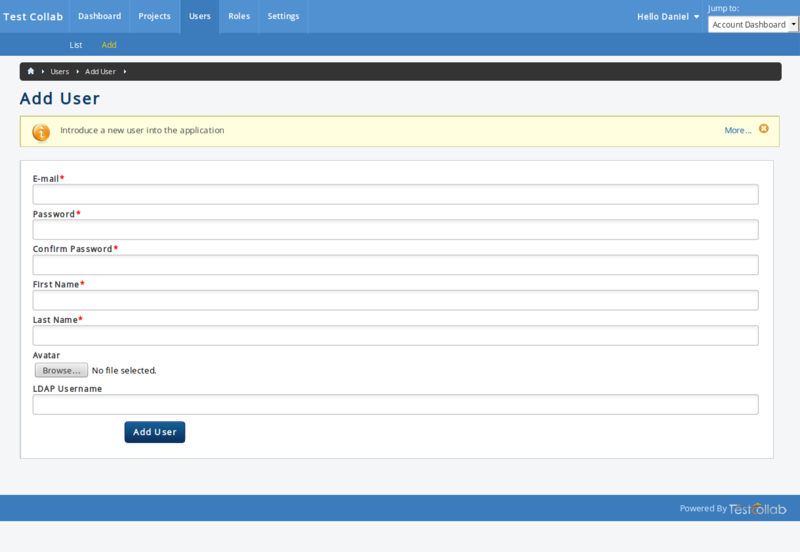 Once installed, you can use LDAP as an alternate method of authentication for Test Collab. Under the "Settings" tab of dashboard, you would find a setting with the name "LDAP"
On the LDAP configuration screen you would see the options to enable or disable LDAP Authentication for the application. Option to Use default authentication as fallback, i.e, if default authentication is enabled, then the user who wants to login to the application would also be able to use default method of logging in apart from the LDAP authentication. It is recommended to keep this setting enabled. LDAP User Search Filter - The filter string provided here will become basis for the search method that queries the LDAP database to look for user related information. This search filter requires the use of a specific string "[[username]]" (without quotes), as this string will be replaced by the string that the person willing to login to the application has provided for Username field. (|(uid=[[username]]) (mail=[[username]])) - this would look for text in both uid and mail fields that exist in LDAP database. 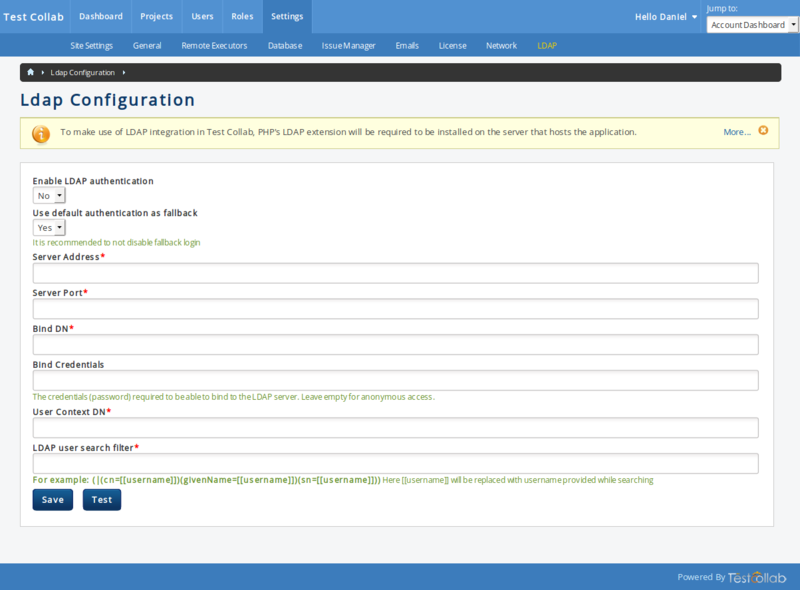 Once the LDAP related configuration has been done, you can test the same by using the Test button available on the settings form. On the form that opens to Test LDAP settings, you can enter "Ldap user id/name" and "Password". When you hit the "Verify" button after entering the username and password, connection to the LDAP server followed by validation of credentials entered. Any error either in connection or authentication would be reported to you. On user add/edit forms you will see a new field for providing "LDAP Username", so that it can be used for LDAP authentication at the time of logging in.